Whopper size catfish are coming out of hiding!!!!!! Did you know that this year is our 50th year anniversary since Lake Chabot has been open to the public? Help support the East Bay Regional Parks Foundations by participating in our monthly derby. September’s derby is for Carp and goes from the September 1st thru September 30th. You must purchase a $5.00 ticket before you start fishing to become eligible for the derby. 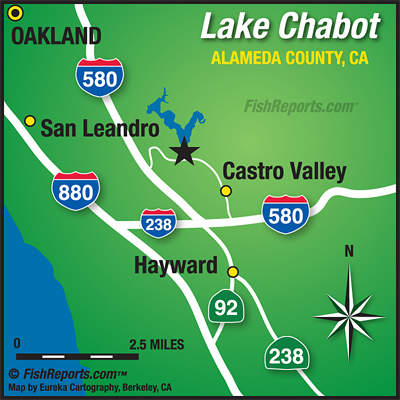 Tickets are available at the Lake Chabot Marina and are valid for the whole month. Prizes will be awarded to the top three fish and most total weight! The first place prize is a 4 hour Patio Boat rental with 4 lunches cooked by our chef BettyAnn! Second place gets a trolling motor and third place gets an all day Duro Boat rental at Los Vaqueros. We have also tagged about 100 catfish. Derby participants will receive a prize if they catch a tagged catfish. Water level is about 81% full. Water temperature remains in the mid 60’s and water clarity is about 4 feet visibility. The visibility of the water should clear up in the next couple of days depending on the weather. There is still plenty of time to hit your limit and possibly catch the first place fish! All of our boats are half off Tuesdays, Wednesdays, and Thursdays! 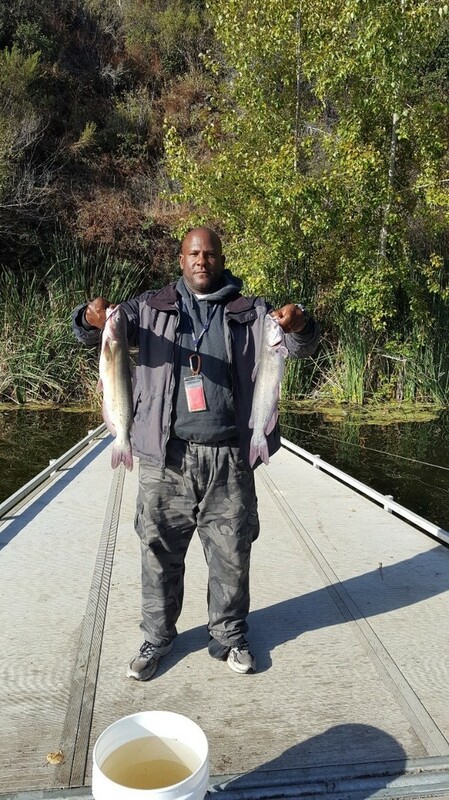 Catfishing is starting to heat up, several whopper size catfish were pulled out this past week including a 10, 15 & 16 lb. catfish over by Raccoon Point. A limit was also pulled up from anglers fishing over by Honker Bay. A great shore spot for catfishing at night is either Raccoon Point or the first dock on the West shore trail. Make sure to show up a little early, the first dock fill up pretty fast at night. During the day the Dam and Bass Cove has been a great spot to catch catfish. Anglers have been using mackerel, chicken liver, anchovies and nightcrawlers to catch catfish! We only have a few more catfish plants left until we start planting trout again. Trout fishing has been slow for the last couple weeks. Our last trout plant was back in late May. The trout are going to be in deep water so when trolling for trout make sure to play around with some weights about a foot from the lure or try drifting back by the Dam. With the warm weather we are expecting this upcoming week, bass fishing should be great. Bass fishing already has been steady for the last several weeks with some bass anglers catching and releasing good numbers. If you do want to try your luck a couple good spots to fish for bass are near the island or in Bass Cove using a drop shot rig, or weightless wacky senko. Please practice catch and release for bass, as they are not stocked into the lake and their population depends on you! Hour’s subject to change based on weather conditions and light levels. We encourage all anglers to report their stories, comments, or concerns to the Marina. Please email us at swong@calparksco.com. Please follow our facebook page to keep updated on fishing conditions. Thanks again for choosing Lake Chabot as your recreation destination.